What camping gear do I need for an overseas camping trip? 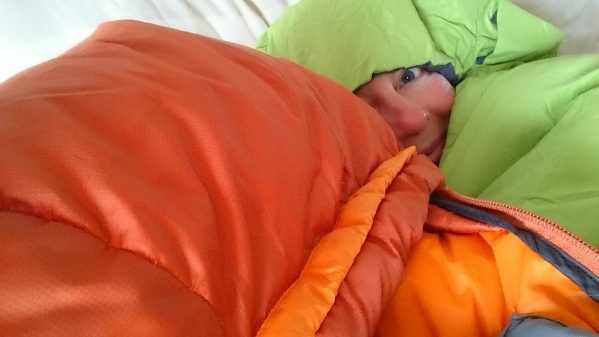 I was more than pleased with the performance of my new Berghaus Elevation 200 down sleeping bag. I have to confess to worrying before the trip about being chilly (we had frost on a couple of mornings) but my Rab women’s Xenon X jacket sorted out any early morning chills and having a bag that was so light and small to pack was a definite advantage. 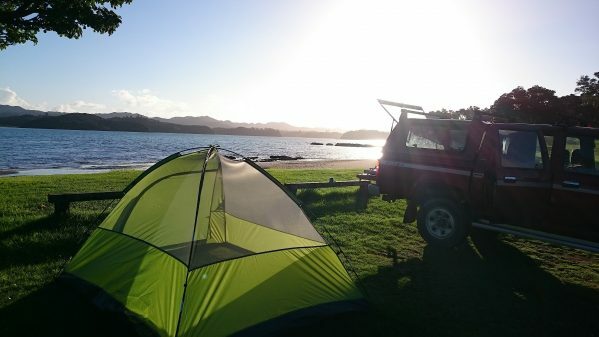 A tricky choice but we didn’t take a tent with us on our New Zealand camping trip. 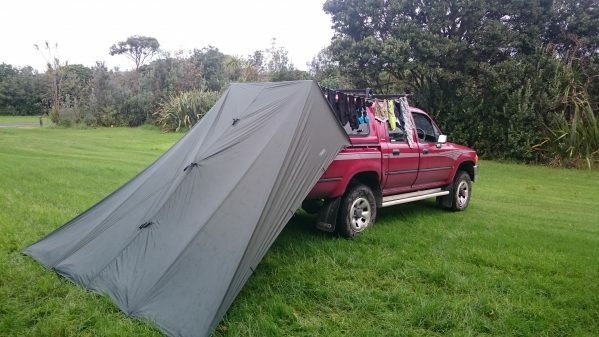 We decided that, with a truck (borrowed from the farm), a tarp, two bivvy bags and two hammocks, we would be fine. We soon changed our minds, tents are much better at keeping out biting insects than most of the above and don’t require trees. Our tent was bought in New Zealand and has been left as a play tent for small farm visitors (or for us upon our return), it cost £16 from K-Mart and, although it would definitely not be up to the rigours of UK winter camping, was perfect and had just the right amount of ventilation, for the end of a Kiwi summer. Both Mr B2 and I took our Alpkit Hunka bivvy bags. 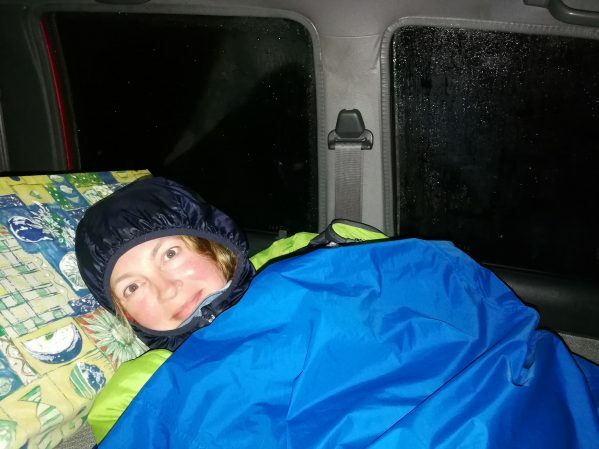 For insect reasons given above, we didn’t use them in the conventional manner, but we were very glad of them when, following a tarp disaster, we ended up sleeping in the front of a very muddy ute! 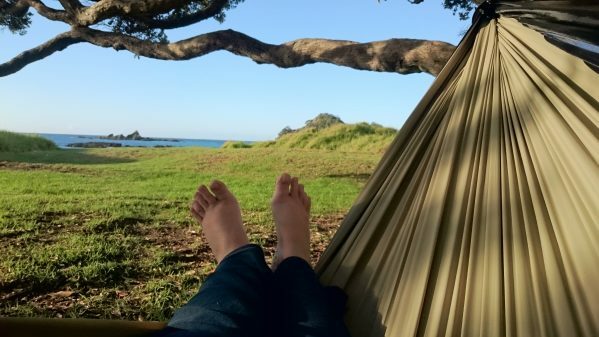 We packed a hammock each and, although we only did a garden sleep in them, we really enjoyed having them with us for afternoon beach relaxation. Mine was the Hennessy Jungle Explorer Zip Hammock whilst Mr B2 opted for the ultra lightweight DD SuperLight Hammock. I would definitely take them again and they are going to be a permanent part of our camper van packing from now on. We packed Mr B2’s SuperLight Tarp from DD hammocks and used it for our hammock night and our misadventure camping night. I would definitely take it again as it would have made a great second flysheet for the tent had the weather really come in. 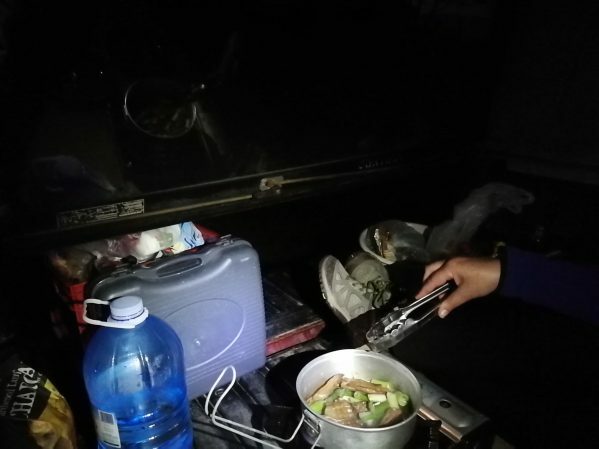 We didn’t take even a lightweight stove with us because we knew that we could borrow one from the farm. 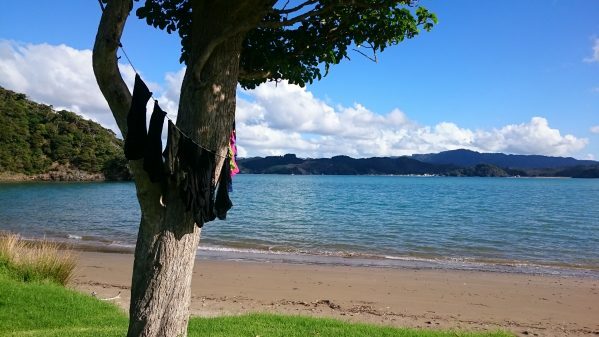 We did note, however, that supplies of all sizes of camping gas are available in more populated areas (in New Zealand it pays to stock up on such things while you can). This picture was taken on the wet night we sat and cooked in the back of the ute. 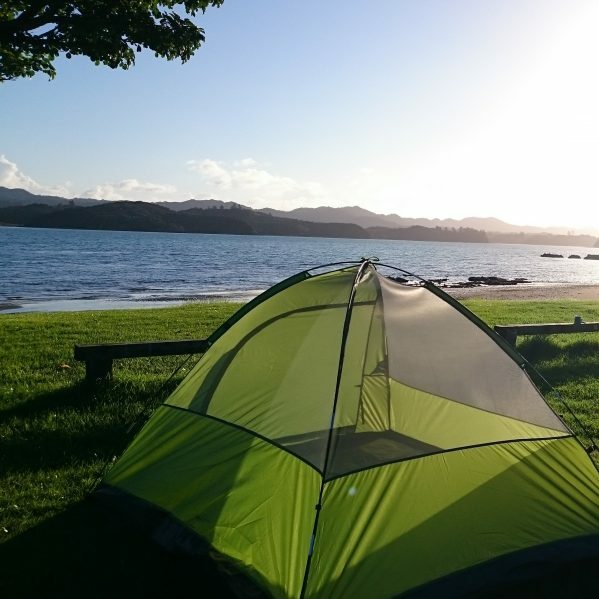 If you are planning your own overseas camping trip (and you really should consider it), you will obviously have your own list of equipment priorities. We hope that our list of overseas camping equipment helps. We are always learning and would love to hear about your ‘must take’ essentials that make you a happy camper. From time to time we Blondes are sent free outdoor products to field test and promote on social media. We will always be honest about our findings and any products we don’t keep for ourselves find their way into our expedition stores. Great for us, great for you and great for our youngsters!